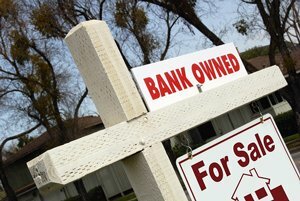 The term REO home stands for "Real Estate Owned" property, which also refers to bank-owned properties or foreclosed properties. Maybe you are considering buying a foreclosure home, but don't know where to start or what to expect. It is important to understand the benefits and challenges this type of listing may hold in store for any buyer. What does "REO" really mean? This means the homeowner was unable to make the mortgage payments on the home, and the bank has taken possession of the property. What usually happens is the homeowner falls behind on the payments and they have few options left. They may have been given the opportunity to put up their home for sale in what is called a "short sale," meaning the lender would accept a selling price less than what the homeowner actually owes as payment in full. A short sale is not the same as an REO listing and is essentially a last attempt to pay off the mortgage and not go into foreclosure. If the owner cannot sell the home in this way or continue to make their payments, the lender may attempt to sell the home at auction or simply foreclose upon the home, meaning it becomes a bank-owned property or REO. These types of listings may or may not be found within the local Multiple Listing Service (MLS), which compiles a list of available real estate for sale by licensed real estate brokers. When and if an REO gets placed in the MLS varies according to the schedule and plans of each lending institution. Will I get a great deal? The answer to this important question is "maybe". You may save on the selling price of the home, but you must remember that the bank will be trying to get the very most they can toward what they are owed by the homeowner. You will probably pay for your savings in time, effort, and uncertainty. REOs offer unique challenges and even a little financial risk, since you may also be responsible for extra fees and expenses, whether or not the home actually becomes yours. For example, there is the home inspection, which buyers should absolutely have done on an REO home. More than likely, no matter what the findings, the bank and homeowner will not pay for any repairs or renegotiate the agreed-upon selling price. This means you pay for an inspection and accept whatever needed repairs as your own responsibility, or you choose to walk away. Either way, you will not be reimbursed for the cost of that inspection, which could cost you approximately $350 to $500. You should also consider the value of your time. Depending on where it is in the process, an REO home may take longer than a typical home to close, which is approximately 45-60 days. However, since the rise of foreclosures in recent years, banks have learned a lot about how to streamline the process of selling foreclosed homes. Speak to your real estate agent about your interest in looking at REOs or bank-owned homes. For some home buyers, it can be the answer to finding a new home at a great price.